Dr. Murphy became attuned to the challenges many students face through his twenty years of work in the field of special education supporting the needs of students with a wide range of disabilities. Dr. Murphy taught for more than a decade before becoming a school administrator, ultimately running private specialized schools for children with Non-Verbal Learning Disabilities, Attention Deficit Disorders, Learning Disabilities and Social Anxiety Disorders. ​After completing his doctorate, Dr. Murphy combined his extensive experience within schools with his advanced degree training and began consulting directly to families, students and adults. He consults with families and addresses the needs of students in all grade levels who have been diagnosed with such challenges as Asperger’s Disorder, Non-Verbal Learning Disabilities (NVLD), Social/Emotional Disabilities, Attention Deficit Hyperactivity Disorder (ADHD), Learning Disabilities (LD) and students who simply struggle with time management and organization. 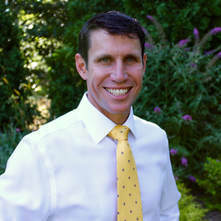 Dr. Murphy received his bachelor’s and master’s degrees in special education from the University of Connecticut. He earned a second master’s degree in special education administration from Southern Connecticut State University. He completed his studies at Northeastern University where he earned a doctoral degree in education. He currently lives in Duxbury, Massachusetts with his wife and two young children. He is an avid runner and loves spending time with his family and friends. 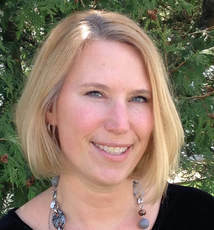 After completing her Masters Degree in Counseling from Boston College, Kerri Szafran began her career at Blue Hills Regional High School. She worked there for two years before joining Duxbury High School’s Guidance Department. There she worked with both middle and high school students. She specialized in homework support groups, lunch bunch groups, and managing the 504 Plans of all of her students. She was the student’s advocate, and managed a caseload of over 150 students. 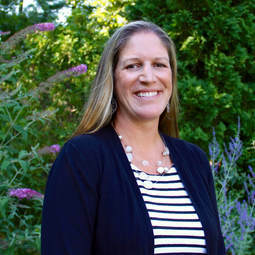 She helped bring the Link Crew Program to Duxbury High School, an orientation program for transitioning middle school students to high school. In addition to working as an Academic Coach for Effective Effort Consulting, she is currently a Behavioral Therapist, working with young children with Autism executing early intervention strategies such as ABA. Her specialties for coaching include working with ADHD/ADD students, students on the Autism Spectrum, and helping students who struggle with organization and study habits. Lost Mountain Expedition! Kerri lives in Duxbury with her husband and two young girls. She enjoys skiing in the winter with her family and having as much beach time as possible in the summer. She is also an avid golfer and runner. Judi Johnson M.Ed., Executive Function Coach, loves empowering kids, their parents, and adults through the teaching of executive function skills: time management, organization, prioritizing, goal setting and managing big emotions. She started out as a teacher but realized that her favorite lessons were the ones that helped kids with their life skills: organizing materials, using time effectively and seeing the big picture in life. So she changed her focus from teaching individual subjects to teaching individuals to realize their true potential. In addition to private coaching sessions, she has enjoyed teaching executive function classes, workshops, and weekly groups. Judi earned a B.A. in Psychology at The University of Rutgers; an M.Ed. in Early Childhood and Elementary Education at The Graduate School of Education, Rutgers University, and completed Executive Function Skills in the School & Classroom for Regular and Special Educators at All Grade Levels at Endicott College. She also has a certification in “Stress Reduction, relaxation and Mediation”. Judi has lived in Scituate for nine years with her husband, two kids, and dog, Magic. She finds that teaching aqua aerobics has been a fun way to keep in shape, and loves boating, skiing and cooking healthy delicious meals for her family. Melanie began her career working in a non-profit agency as a Program Manager servicing educationally at-risk youth. Realizing that this was education was her passion, she completed her M.Ed. in Education with a concentration in School Guidance. She has worked in both the vocational and comprehensive high school settings as a Guidance Counselor. 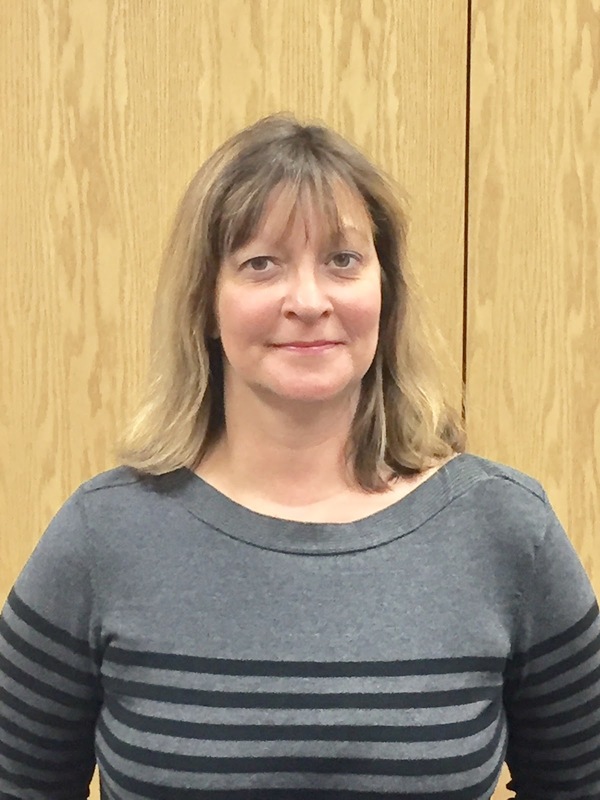 She has worked for the last 13 years as a School Administrator, overseeing the Special Education, Career Services and Guidance Department. She is responsible for the educational needs of all students in her district. Melanie diligently works to ensure all students are provided with the tools necessary to be successful in school and upon graduation. She enjoys working with parents and students, one on one or in a group setting to set and meet goals. She is well versed in Special Education goals and 504 Accommodation Plans. Melanie lives in West Bridgewater with her husband. She enjoys boating, hiking, and physical fitness with her husband and dog, Louie. Meghan Leary, M.Ed.. Ed.S., is a school psychologist with a background working with children from pre-k through the highschool level. Meghan earned her undergraduate degree from the University of Massachusetts in Psychology. She received her Master’s degree and Educational Specialist designation in School Psychology from Worcester State University. 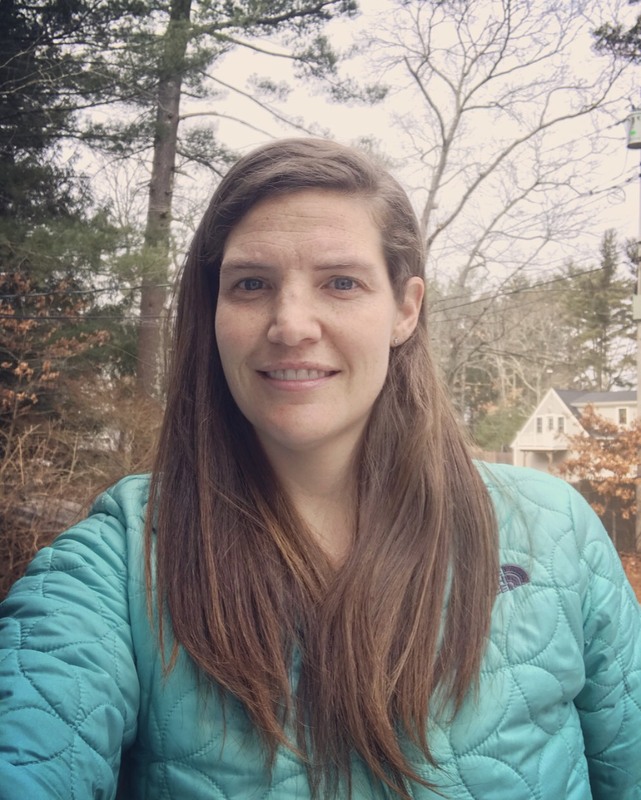 Meghan currently works in Middleborough, MA, where she supports and empowers middle school students facing a variety of challenges. Her focus has been on assisting students in developing the self-regulation skills necessary for navigating the demands of life both within and outside of the academic environment. Meghan has extensive knowledge of the IEP and 504 process, and has been responsible for referral, assessment, development, implementation, and monitoring outcomes. Meghan lives in Pembroke, MA. She enjoys spending time at the beach, cooking, running, and trying to keep up with her dog, Tess. Jaime Joyce, M. Ed., is a licensed Massachusetts History Teacher. She has classroom teacher and instructional assistant experience at the elementary, middle and high school levels and has experience co-teaching in a high school inclusion classroom. Jaime has provided learning, social and behavior support to students with autism spectrum disorder, executive function disorder, dyslexia and attention deficit/hyperactivity disorder. Jaime earned her undergraduate degree at Loyola University in New Orleans and her Masters in Education at American International College. Jaime lives in Duxbury with her husband, twins boys and dog. In her free time, Jaime loves traveling the world with her family and going to the beach. Victoria Sulser is a master’s level special education teacher with a background working at the elementary, secondary, and college level. 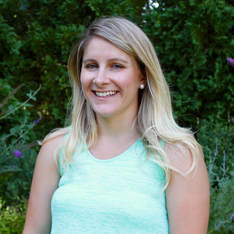 Victoria is currently a middle school special education teacher in Natick, MA. She has her certification in special education and her master’s in special education. She earned her undergrad at UMass Amherst and her Masters in Education at Northeastern University. She is currently a Ph.D. candidate at UMass Boston. 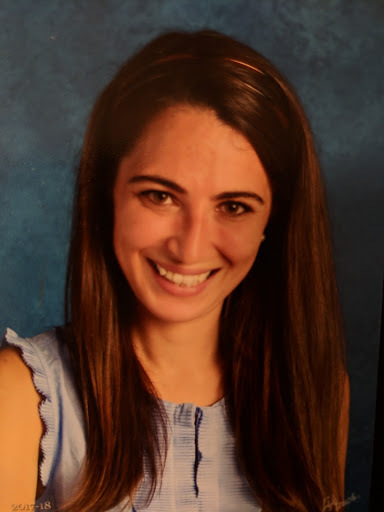 She comes to EEC with a passion for student learning and expertise in writing and developing executive function support plans for students requiring specialized services. Victoria currently lives in Hopkinton, MA. with her husband, son and daughter. In her free time, Victoria loves to spend time with family on Cape Cod, run, and travel. Effective Effort Consulting | Copyright © 2019 All rights reserved. "Kerri is an amazing person. She puts her heart and soul into her work and has a passion for it. She made Camryn feel happy when she came over because Camryn knew that Kerri was going to help her succeed and she did. I will recommend Kerri to anyone that needs help with their kids to succeed. I will miss her smiling face and special way. I truly felt like she became part of our family." "I was concerned about the lack of my child's organizational skills. I felt he was not grasping the importance of school work. He was not utilizing and valuing his relationship with teachers to excel and he was tuning mom out. After working with Kerri, he was able to realize the importance of organization, consistency and communication in his approach to school. When he connected with Kerri, a qualified friendly adult who listened attentively and didn't add parenting mistakes to the mix, he started to make the connections. He needed a fresh set of eyes and ideas to drive home the message"
"Our daughter was facing many challenges impairing her academic and personal progress. Finding Judi was a truly life-changing experience. Judi’s comprehensive assessment of the situation and skillful implementation of key strategies provided our daughter with a platform for managing her workload successfully. Watching our daughter transform into a confident, organized and independent young adult was truly awesome. She still uses her “Judi Strategies” every day! Judi is incredibly kind, compassionate, patient and gifted at helping each person find her inner capabilities and use these to master any obstacles. Judi is a very special person and we are forever grateful for her invaluable intervention. She is simply the best!" "Judi helped me create structured homework plans through which I learned how to better prioritize assignments, plan ahead, and complete my work in a more timely and focused manner. She kept me on track and provided what I needed in a way that still let me feel a sense of self mastery. Judi is compassionate. She has a cheerful attitude and was always ready with a joke or thoughtful insight when I was feeling overwhelmed." "Working with Judi not only helped me with the areas I wanted to focus on - family organization, planning, prioritizing, and follow-through, it helped me recognize and take advantage of my strengths to get things done. She is a great listener and coach and her suggestions and methods are so practical and doable. I see myself working with Judi again in the future when I face new and different challenges. I think she has really found her calling." "I am excited to tell you that Jack's day 1 of his agenda was much better than I ever expected! It could be because I was there taking pictures every step of the way. Or that he was excited to go to practice. Still, I saw it as one of the first glimmers of hope that he can learn to be more self sufficient." Parent of a child with severe executive functions deficits. "You are a miracle worker. Thomas is a different kid since he's been seeing you. Amazing. I don't know how you're doing it but thank you!!" "Morning routines were a nightmare for our family until David got involved. Now we can actually have a cup of coffee while I children work through their morning routines. David was absolutely terrific. He was able to work with two of our children but really became a part of the family. After he helped our daughters we were sad to see him go. We would recommend him to anyone who has a child that struggles with executive functioning or other organizational challenges"
"I have found it extremely beneficial to have this tutoring for my son. It has helped in ways that I hadn't anticipated. My son seems more confident, and not quite as overwhelmed with school. He is doing better and handling things much better and likes the success he's having." Father of middle school student with ADHD. "I came to Dr. Murphy with ADD feeling like things in my life were always out of control & finding myself working really hard to keep my head above water. The goal was to figure out a way to balance a high demand job with my family life. He helped me to develop a customized system that really helped control my day(s) to better manage my work / life balance. I think combining diet & exercise as part of my program really helped me. I feel this combination approach helped me to pull out the positive attributes associated with ADD & diminish the not so good ones. Dr. Murphy provided me the road map that we tweaked & customized to me which has greatly enabled me to better manage my life." "I came as close as someone can to failing out of my first semester of college. It was not the first time I had struggled to complete assignments in school, but it was the final straw in realizing that I needed help to figure out how to be more successful in my life. Dr. David Murphy, a man I would now consider my friend, has been instrumental in helping me to achieve that goal. Every meeting was productive and inspirational. Through his methods of organization I have been able to make better decisions and change my attitude towards life in general. My favorite quote from David is, "Work smarter, not harder." As someone struggling with ADD, he was more than accommodating. He went above and beyond to make me feel comfortable and confident. I highly recommend anyone with a similar struggle to seek out his aid." "I went to Dr. Murphy after having a less than successful fall semester in college. A few problems that I noticed were disorganization and a lack of an efficient schedule for myself. Dr. Murphy helped me organize myself in a much more efficient manner that has enabled me to stay on track with my classes. We set up a schedule and he was able to assist me in ways of sticking to what we laid out. Overall I saw our time together as extremely worth while, as I continue to follow along with the methods he put forth." "I love the experience working with David. I've been able to organize my life and find perspective." "David has helped my son, who is a college freshman with ADD, with academics in a way we were never able to do. By helping him analyze his short term and long terms goals he managed to help him with motivation and academic success. David listens to the parent and the student and creates a strategy that works for the individual. He is kind, patient and really cares. It has been helpful that he answers texts promptly when "emergencies" come up and is able to brainstorm and problem solve intelligently always engaging the learner. We are very thankful to have David on our team. Wish we knew him sooner!!" "We are pleased with our 19 yr olds progress concerning his college academics. He did very well through high school, but apparently never learned how to take notes, or prioritize his time and interests. He was unhappy with his results in college and was becoming frustrated and upset. David connected with our son immediately. David has coached him long distance once a week for a few weeks, and then moved to twice a month. I just asked my son how he was feeling about his progress and working with Dr. Murphy. He said he " loves it " and wants to continue talking with him. My sons grades have jumped back up and he is so much happier!" "David was more helpful in a 15 min conversation than some people who have known my son for years. He quickly conveys a deep understanding of children and is a terrific listener. After speaking with David I felt more hopeful about my son's situation and walked away with some great practical suggestions. I appreciated his friendly approach and down to earth advice. He definitely understood what was going on!" "The transition from high school to college was challenging for my son. After much soul searching Andrew and I determined it was a difficulty with executive functioning. Dr. Murphy began working with my son to gain an understanding of the difficulties he faced and to develop systems to overcome them. In a very short time we saw the difference in his organizational skills. This was most evident in his ability to effectually navigate multiple tasks with conflicting deadlines. He was more organized both at home and in school where he was finally able to concentrate on the subjects he was studying as he understood the process of learning. We also saw a difference in his confidence as he moves forward successfully with his college career. The work my son has done with David has made a tremendous difference in a relatively short time and we would enthusiastically recommend David’s expertise to other families facing the same issues." "I have found his (David Murphy) knowledge, approach-ability, enthusiasm, and genuine caring to be of great comfort to me as the parent of a challenged child. I was struck by Mr. Murphy’s attentiveness and enthusiastic involvement to incorporate and work “outside” suggestions. As I listen to my son’s language today, it is clear to me that he is learning and making progress." "From our first tour and meeting with David Murphy we felt like he “got” (our son). Mr. Murphy met with us for over an hour asking us about (our son) and looking over his evaluation results. It brings tears to my eyes now describing the feeling I got from meeting with him: “He gets my little boy, he understands what makes (our son) tick, FINALLY!!! (our son) is finally going to get what he needs to succeed and feel good about himself.” I felt like someone was finally listening to me and validating what I knew to be true about my sweet boy." "Most notably I should mention that the growth and success of our girls also lays in the hands (and probably heart) of David Murphy. David has always been fully involved in all aspects of the girls program. David has left no stone unturned in his efforts to make sure our girls have received all the supports or help available. At times we have not seen eye to eye, and I am known to be extremely direct in my opinions. Poor David took it all in stride, meanwhile continuing on his quest to keep the girls on track, he would give me my space and eventually we would reconvene and work on moving forward, in hindsight that was one of the nicest things about David. Any parent in our position knows that you need to complain or vent and sometimes share your fears about your child's future, David has been there for all of them!" "David is the same every time you meet with him – open, honest, flexible, and exemplifies an incredible spirit in all that he does. I have trusted him and continue to do so, because of his sincerity, his integrity and his willingness to collaborate with all parties involved. David’s clearly understands complex student needs and demonstrates that understanding daily to parents, colleagues and school districts. His personal dedication and commitment are an inspiration to his team – David will return calls in the evening, early morning, or make a personal trip to our office to review a file – anything it takes to move things in the right direction. This is truly the rule and not the exception for David." "I have found it extremely beneficial to have an ADHD Coach for my son. It has helped in ways that I hadn't anticipated. My son seems more confident, and not quite as overwhelmed with school. He is doing better and handling things much better and likes the success he's having." "Hannah has really been enjoying meeting with you. I really think it has made her feel better about herself. She is looking forward to this year with the best intentions. I am grateful we have found you and I believe you will be a great source of help to Hannah as well as helping her truly believe in herself - she deserves it. I know she is thinking about goals/etc. that you assigned her this past week." "David is an amazing academic coach that has helped our whole family. I would highly recommend David. He connects well with his client and is oriented to results. Our son's homework scores improved dramatically as did his outlook towards school. David is perfect for those students who need to find their motivation and organization. David increases the challenges and goals gradually as needed. His technique is coaching centered and focuses on both short and long term goals. He is collaborative and communicates well with parents so we all work together. David is a unique find in this space!" "I worked with Dr. Murphy on some problems I had with transitioning from high school to college. He gave me the tools to organize my studies, personal life, and work which in turn is giving me more confidence and has made me more successful in both school and work." "Working with Dr. Murphy can be successful for struggling students; who puts homework off until the last minute, who prefers to hang with friends during school days over doing homework, who loose sight of what a career holds, or who just need guidance by someone who knows how to truly succeed. You'd be amazed at the connection and bond you can create with him. As for myself, I knew I was capable of so much more in this world but I didn't know how to open the gates. Working with Dr. Murphy has helped those gates to open and widen my mindset to my own potential. I entered senior year with an overall GPA of 1.43. Within three quarters my GPA was almost a 2.00. I am, for the first time, proud of my academic work. I am proud to say that I will be a college student in the fall; something I never knew was possible." "Dr. Murphy helped Nate set himself up with organizational tools and a process for staying on track. These tools made sense to Nate and helped him work 'smarter not harder'. David is encouraging, knowledgeable, approachable, and genuine in his desire to see students succeed." "Jaime has been great and her work with my son seems to be helping to keep him organized, planning his studies, and accountability. He really likes working with her; her direct style is exactly what he needs. Looking forward to their continued progress"